Each February, droves of scientists descend upon Florida for the annual Advances in Genome Biology and Technology (AGBT) conference. The conference is a mix of long days filled with presentations, and lively nights consisting of cocktail parties and networking. This February 10-13th , the conference takes place in Orlando, considered by some to be the “happiest place on earth,” where global researchers, leaders, and innovators will meet to share new discoveries and cutting edge breakthroughs. If you’re headed to AGBT, please join us in Marbella 2 to discuss our latest projects, datasets, and tools. It’s been one heck of a rocket ship ride in 2015; already 2016 promises even more opportunities for fruitful collaborations. Learn how DNAnexus is transforming the PacBio de novo assembly experience by providing industry-leading reference-quality genome assembly services. We’ve updated the most popular PacBio SMRT Analysis 3.0 tools and structural variant callers (e.g. Parliament) on the DNAnexus Platform. 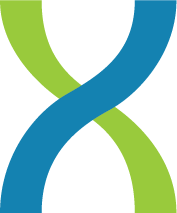 From structural variant analysis to ENCODE pipelines & more, just ask Singer how DNAnexus might help your genomics research project. Join us for libations and lively discussions under the stars. Co-hosted with Pacific Biosciences, BioNano Genomics, New England BioLabs, Sage Science, and DNAnexus. We’re proud to support the truly innovative research of our customers who push the envelope in advancing genomic science and medicine. Be sure to check out these posters at AGBT! Yue Sarah Wang, CareDX Inc.
For more details on this year’s meeting, and to see the complete agenda check it out here.